Family Services focus on working with families to improve the lives of our students. We want our services to complement what the student needs in their daily lives as well as school. We consider our families to be the greatest educator of our students. It is vital that we have a collaborative relationship to ensure progress. The services listed below are just a brief list of what else we can do. These services include our participation in IEP development, assisting with modification and accommodations identified in the IEP, and attending IEP meetings or researching school placements. 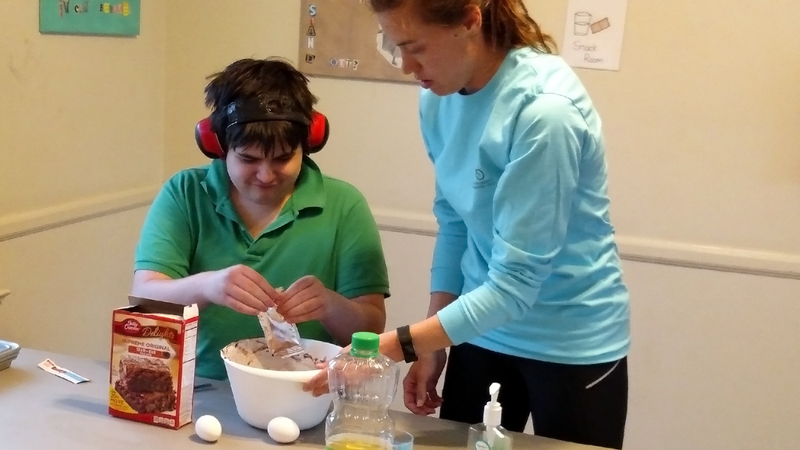 These highly individualized services are designed for family members and caretakers of individuals on the Autism Spectrum. Basic behavior principles, strategies for enhancing communication, sensory integration techniques and visual systems are some of the areas covered. Family training sessions may be done individually or in a group format. We highly encourage multiple family members to attend family training sessions to help with a more structured approach for the student. School or daycare observations are conducted to check for generalization of skills or to gain a deeper understanding of additional skills needing to be taught. These observations are typically done for students who are accessing other services at The Autism Project. Observations can also be conducted to ensure an appropriate school placement. When arranging for this service, it is the responsibility of the requesting family to contact the school or agency and sign a waiver for release of information so that we can observe the student and review pertinent records. To educate, advocate and empower individuals on the autism spectrum, their families, and communities; and to build mutually beneficial relationships among them.